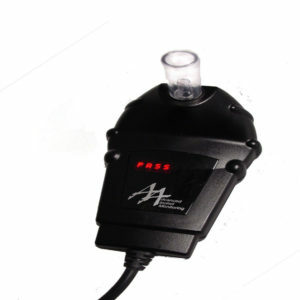 Drunk Driving and Interlock Device - Should DUI Charges be Dropped? Tallahassee is considering a law that would allow DUI charges to be dropped in exchange for using a interlock device in their cars for 6 months. The Simmons Interlock Amendment is similar to SB 918 and would incentivize ignition interlock use for first-time drunk drivers who did not cause an injury. First-time offenders who successfully complete their time on an ignition interlock, along with DUI schools and other existing court ordered conditions, could have their criminal record sealed. However, a subsequent DUI offense would count as a second offense. Lawmakers have until May 5th to enact this legislation. Interlocks are currently required for repeat offenders and first-time offenders with a BAC of 0.15 or greater (Florida law presumes a driver is impaired if the BAC is over a 0.08). Over the past 10 years, ignition interlocks have prevented 68,236 attempts to drive drunk in Florida. 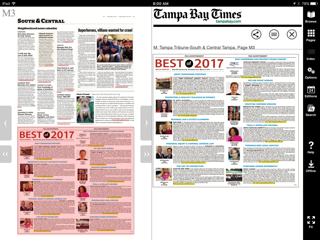 We were featured in today’s Tampa Bay Times – Tampa Tribune section, in the Best of Tampa Bay 2017. We are honored and humbled by the honor. Attorneys Danny Fernandez and Martin Hernandez of FERNANDEZ & HERNANDEZ, LLC have solid experience, resources and success in personal injury, auto accidents and criminal defense law. 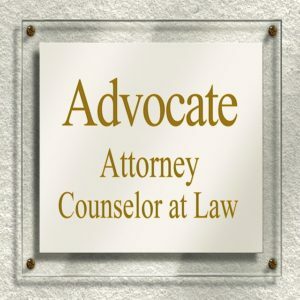 They have more than 45 years of combined experience and have a special interest in helping to resolve legal problems so that their clients can get the justice they deserve. The lawyers at Fernandez and Hernandez are one of three groups of attorneys or firms to be listed in Profile Series of the “Best of Tampa Bay 2017”. Fernandez & Hernandez’s personal injury law services encompass auto accidents, motorcycle accidents, pedestrian accidents, business negligence, slip & falls, animal bites and improper security. They are devoted to providing sound & practical legal guidance for clients who have suffered personal injury due to the negligence of someone else. When faced with any criminal charge, it’s always important to have an experienced law firm on your side. Daniel & Martin have the necessary experience to obtain the best resolution for your case. Fernandez and Hernandez gets a Tampa man and woman a verdict for $10.881 MILLION for injuries sustained by a drunk driver. On September 25, 2015, a motorcyclist and his passenger on Gandy Blvd in Pinellas County, were struck by a driver that failed to observe the motorcyclist approaching. The Tampa woman received a verdict of $10.6 Million for the injuries she sustained after an impaired driver struck the motorcycle she was a passenger on and ejected her off of the motorcycle. Although she was wearing a motorcycle helmet, she suffered life altering brain, neck, back, eye socket, and jaw injuries. Formerly a dancer and nursing student, she was forced to stop nursing school and move into her father’s home for a life time of living assistance. A verdict in the amount of $281,103 was entered in favor the motorcycle driver. The male driver of the motorcycle suffered a fractured ankle which will require surgery in the future. The Defendant driver admitted to consuming alcoholic beverages before driving and was arrested for DUI. However, because of insufficient evidence obtained to prosecute the case, the Office of the State Attorney for Pinellas County dropped the charges against the driver of the at-fault vehicle. A Tampa pedestrian was struck while crossing the street by a car. Who’s at fault? You will see that the car was definitely speeding and that the pedestrian was not using a crosswalk. Both are culpable. If you are a pedestrian that was struck by a car and injured, call Tampa Injury Attorney Martin J. Hernandez at 813-229-5353 or click to read more on our website. The other day, our client told me that I was the “Best Attorney” in Tampa. She even wrote a review to that effect. I was very flattered and humbled. She asked me if I was going to get bigger. I said no. I did not want to be the biggest law firm. Just the best lawyer she knew. To all of my clients who have referred me clients this year, I say thank you for making this our best year and for making next year even better.